you want to admire the growth of your (grand) children without the risk of losing everything when you paint over that bit of wall and remaining certain you can transmit the growth chart from generation to generation. 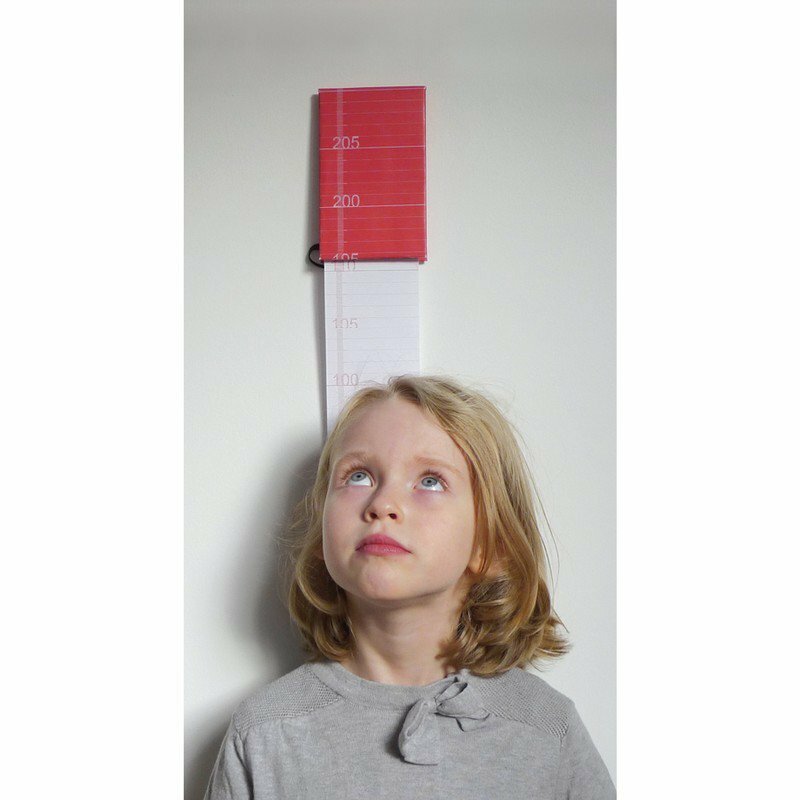 Fix to the wall with a nail or a screw (the cardboard back has a hole) at the precise height of 2.10m (aligning the top of the growth chart) by positioning a nail or a fine headed screw 2.085m from the floor. 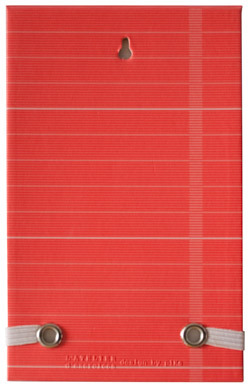 The bottom of the growth chart is weighted with a piece of metal, maintaining the long tyvek sheet vertical and perfectly unfolded. 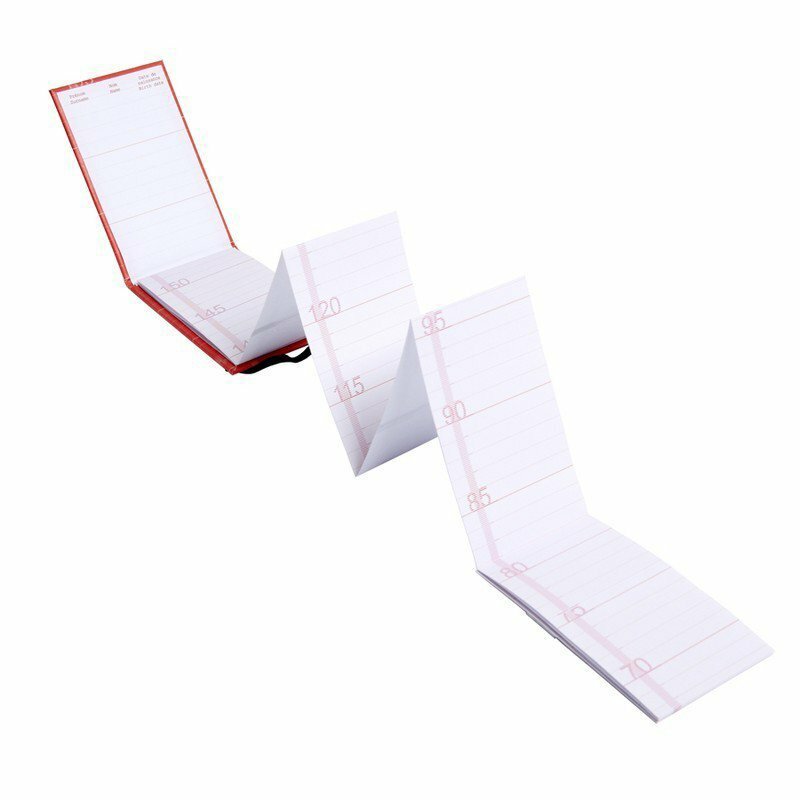 Since Tyvek® is a plastic material, you need to write on it with a biro or a soft pencil. 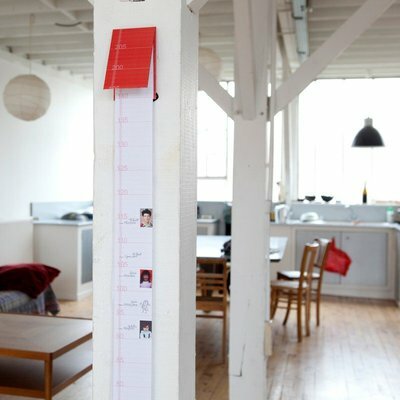 With a width of 9cm, it is possible to mark the heights of the whole family over the years and stick photos or drawings. 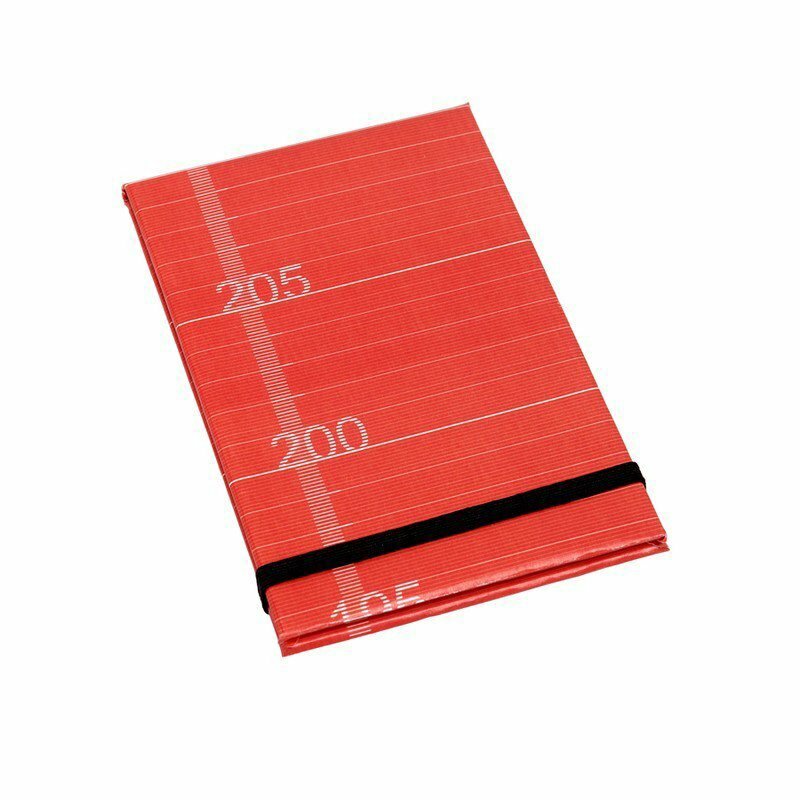 durable - extremely resistant thanks to its tyvek® texture, this growth chart can also be folded in its cardboard binding which will ensure a good transmission from generation to generation.